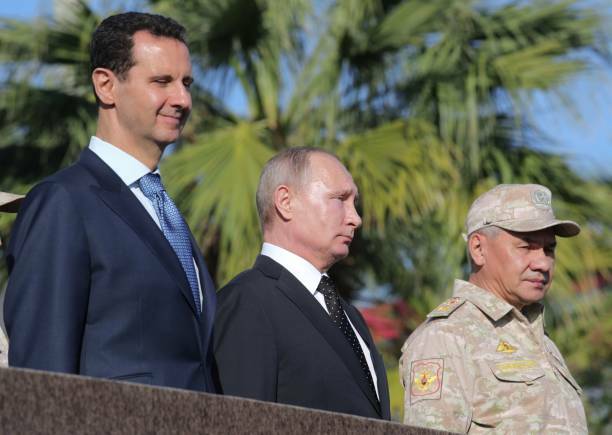 President Vladimir Putin (center), Defence Minister Sergei Shoigu (R) and Syrian President Bashar al-Assad visit the Hmeymim air base in Latakia. Many analysts predict that the upcoming year will witness an end to the Syrian conflict at least there would be no more militarily operation required. According to the Russian Ministry of Defense, 85% of Syrian territory has been liberated from ISIS and other groups that had controlled entire cities and towns since 2012. Aleppo was re-taken by the Russian and Syrian armies in December 2016, followed more recently by Albukamal and al-Mayadeen in the Syrian northeast. In early December 2017, President Vladimir Putin landed in Syria and, from Russia’s military base in Hmeimeem, on the Syrian coast – he announced a thundering “mission accomplished,” promising to bring Russian troops back home in the weeks and months ahead. Excess troops that had been shipped to Syria in 2017 will be returning to Russia in the first weeks of 2018. According to the World Bank, the cost of rebuilding Syria stands at a staggering US$226 billion. This will not apply to the 1,200 Russian military police deployed in the countryside of Aleppo and Damascus, or to the 1,000 troops monitoring the ceasefire in southern Syria. The Hmeimeem base will remain intact – it was leased to the Russians in January 2017 for 49 years, extendable for another more years. Putin hopes that other stakeholders in the Syrian conflict – like Iran, Hezbollah, Turkey, and the United States – will take their cue from him and start evacuating soon. Politically, Putin hopes to jumpstart peace talks at the Red Sea resort of Sochi some time in January or February. Over 1,000 Syrians will be invited to attend a “national dialogue conference” hosted by the Russian Foreign Ministry, ahead of Russia’s presidential elections in March. They will be tasked with signing off an endgame to the Syrian conflict, in accordance Putin’s terms and conditions. The draft also drops Article 3 of the present constitution, which names Islam as the religion of the president, an omission that is strongly opposed by Islamists in the Syrian Opposition. And finally, the proposed charter calls for a quasi-federal system, one that gives different Syrian districts the right to elect their local councils and governor, rather than have him named by Damascus, along with the right to a share of their region’s natural resources. Syrian Kurds, naturally, are happy with this suggestion. Unless parliamentary elections are called for, the new constitution will likely be the only serious political development in Syria in 2018. Both – elections and a new constitution – will be debated at Sochi, then agreed through the Geneva process, in compliance with United Nations Security Council Resolution 2254. Passed two years ago, that resolution calls for “elections” without specifying whether they should be presidential or parliamentarian, as well as a new constitution and the start of a transition process. Russian and Syrian lawmakers interpret that as being a transition from war to peace, and from one constitution to another, rather than from the present government to one made up of its opponents. The opposition, however, insists that it should lead to the departure of President Assad — something that is strongly vetoed by Moscow and Tehran. Syrian Democratic Forces woman sniper takes up a position opposite Hospital in Raqqa. At the latest convention of the Syrian Opposition, in Riyadh, Saudi Arabia, in late November, they called for Assad’s departure, but framed it as a goal, rather than a precondition. Damascus insists that demand must be scrapped completely before an agreement is reached, threatening to boycott future talks if it is not. 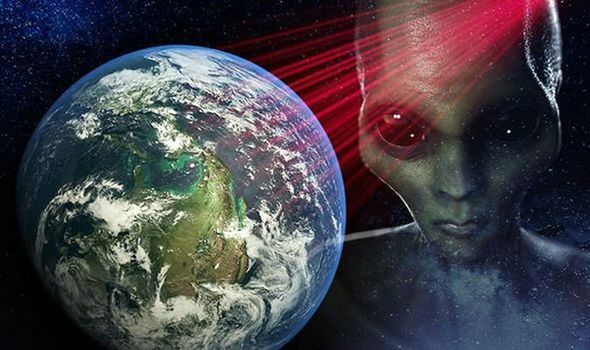 If it does, the Geneva process would be announced dead, but Moscow is keen to keep it afloat, wanting Geneva to effectively legitimize Sochi – so that, in other words, a Russian-engineered endgame enjoys the international community’s stamp, via the UN. During his November meeting with Putin in Vietnam, US President Donald Trump agreed to let Sochi happen, provided that Iran’s role is controlled and curtailed in the process. The US president has seemingly surrendered to Putin’s endgame on Syria, so long as Iran is curtailed, ISIS is defeated, and the Kurds are empowered. He has already canceled funding for all but one of the armed groups that were on the CIA’s payroll, while other allies of the opposition, like Recep Tayyip Erdogan of Turkey, have shifted almost completely into the Russian orbit. Militarily and politically, much is in store for Syria in the upcoming 12 months. Left standing, though, is the gigantic problem of the Syrian economy – a problem which everybody is clueless on how to address, the Russians included.